Natural remedies have been around since the dawn of time. Ancient cultures used herbalism, plants, food sources and even sunlight to help aid in pain relief. Within the struggles of the modern healthcare system, many people are searching for natural remedies to lessen pain and improve their quality of life. 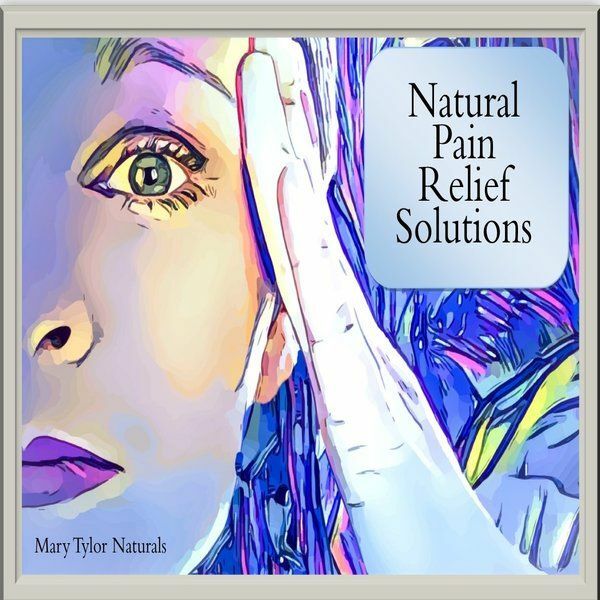 Below is a list of natural pain relief solutions. 2-Magnesium Oil- Be sure to contact your healthcare practitioner before starting this treatment, especially if you have kidney issues. But this oil is proven to soothe muscle spasms, calm anxiety and help treat insomnia. It is one of the most prominent natural remedies for restless leg syndrome when applied topically at bedtime to the legs. You can also use magnesium oil in a warm bath to soak up its healing benefits. 3- Ergonomic Pillows- A lot of muscle and joint pain can be alleviated when pressure is released. Resting and sleeping with ergonomic pillows help align our bodies and promote healthy circulation. 5- Essential Oils- There are thousands of essential oil blends that are natural remedies for various health and pain issues. Mary Tylor Naturals highly recommends using essential oils. If you need any suggestions, feel free to message us! We offer a premium line of essential oils that can aid in pain relief, ease anxiety, promote relaxation and provide natural remedies. 6- Warm Baths. Soaking in a warm tub of water can help ease muscle tension, soothe aching joints and help you relax. You can also add essential oils, Epson salt or herbal teas to your water to infuse healing benefits naturally. 7- Healing Movements- Stiff muscles can cause increased pain. A light stretch can help ease aches. Programs such as Sit to be Fit, Yoga, Pilates and T-tap are great solutions for light exercise you can do at home! Your local library has various exercise DVD’s you can rent for free. You can also look up free exercise videos online or use a streaming service to find work-outs you can do from home. Even light exercise such as walking is beneficial to your health! 8- Guided Imagery- Sometimes when pain is high, all you can do is distract yourself. Guided imagery is a great way to keep your mind occupied and relaxed. You can look up free guided imagery videos/audio clips for free on youtube! 9- Herbalism- With the help of an educated natural health practitioner, you may can find a natural remedy to treat a health issue or condition you are battling. There are thousands of herbal remedies to treat just about every ailment. Do not just “google” herbal remedies and start taking them however, many have interactions with medications. Just because it is natural does not mean it will not cause side effects or have adverse effects. Consult a licensed healthcare practitioner or naturopath before starting any herbal medicine. 10- Meditation- When you are in chronic pain, it is easy to get overwhelmed. It is scientifically proven that sleeplessness and anxiety can increase pain. Meditation may not cure your pain, but it may help you cope with it. Being mindful about negative thoughts, anxiety and staying away from negative sources can help you stay mentally above the pain you are struggling with. When you are battling pain, be sure you are hydrating, eating well, resting and staying around positive influences. This is your life! You may not be in control of everything but you are in control of your choices, attitude and actions. Do not start or stop any treatment, natural remedy or medication without first contacting your healthcare provider. The above suggestions are not intended to diagnose, treat or manage any condition. Mary Tylor Naturals is here to provide you with Better Ingredients for a Better Life!